The weather doesn't always hold up. 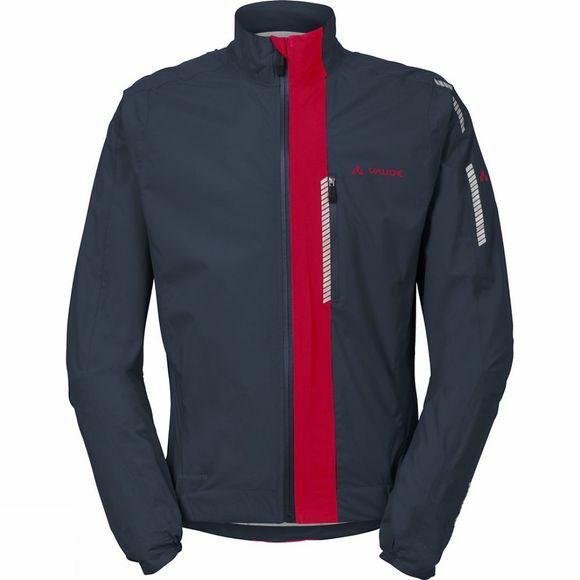 This Mens Sky Fly Jacket III does. Extremely lightweight, athletically cut rain jacket made from eco-friendly stretch material, can pack down small enough to fit into a back jersey pocket; protects you from rain and wind when you need it. You can fold out the collar to protect your neck from the rain should the weather turn on you. 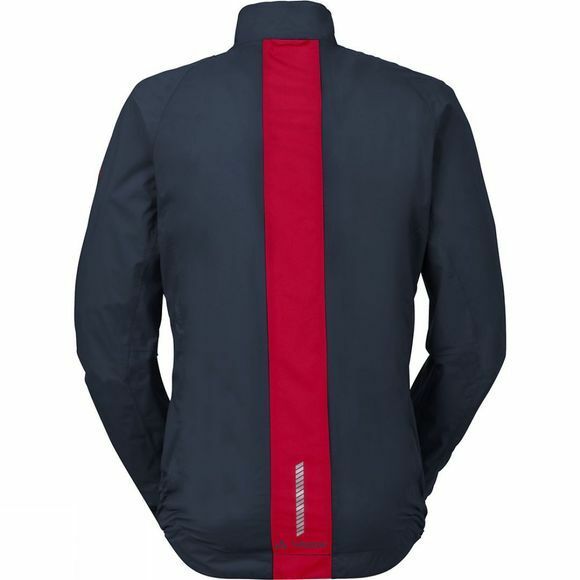 Reflective stripes on the sleeves and back provide high visibility in traffic. Our jacket is complete when used with our helmet rain cover, making a hood redundant.